Do you have these psychology games? 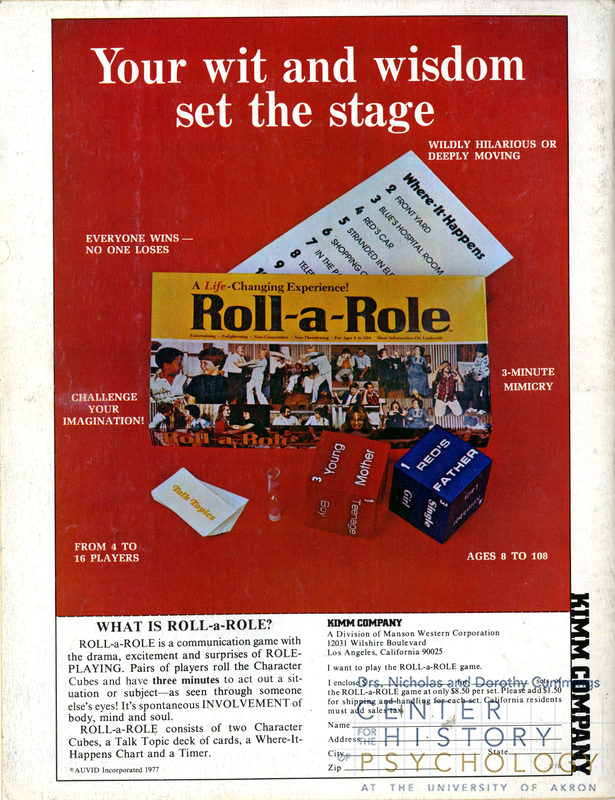 In 1968, Joe South sang “Oh the games people play now. Every night and every day now. Never meaning what they say now. Never saying what they mean.” The Sixties was a vibrant and volatile decade, often called a decade of ‘promise and heartbreak.’ It featured a greatly expanded public interest in psychology, with popular psychology manifested in a host of new magazines, books, movies, and television shows that focused on the fascination with human behavior. The decade also ushered in a new generation of psychological games: board games and party games. These games promised to reveal hidden personality traits, to help players get in touch with their “true selves,” to expose prejudices, to enhance empathy, and to reward psychological strategies in solving problems. 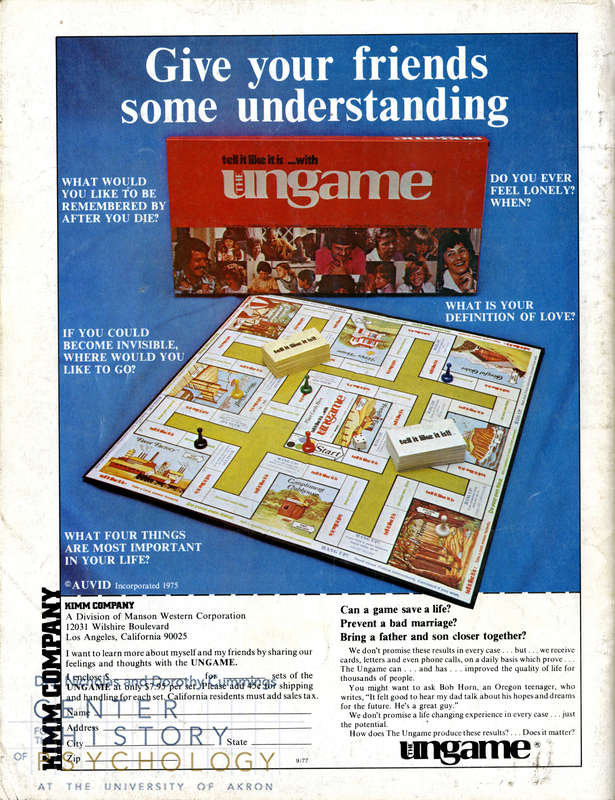 There was the “Group Therapy” game, released in 1969 that helped players “open up, get in touch, feel free.” And there was “Insight” which appeared in 1967, a game intended to reveal a person’s personality. 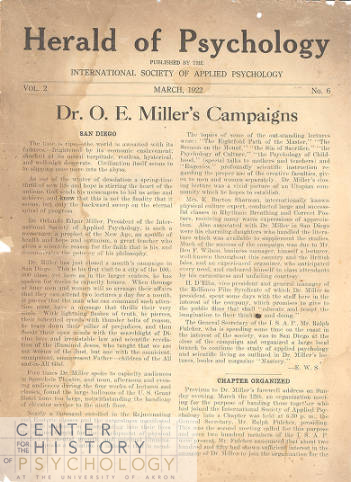 At the Cummings Center for the History of Psychology at the University of Akron, one of our jobs is to preserve the historical records of psychology for scholars and others who want to understand psychology in all of its forms. To that end we are working to build a collection of these psychological games. 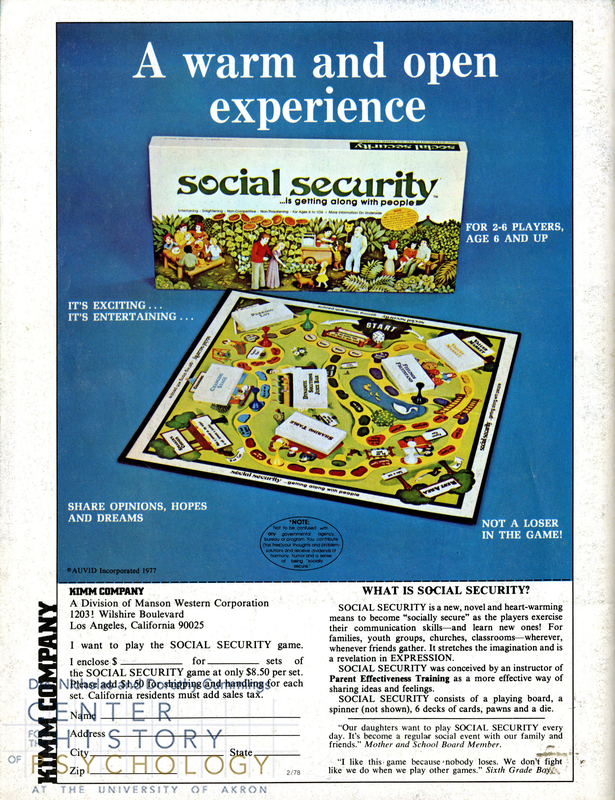 One of our blogs in January 2015 described three psychology games from the 1970s and asked for individuals who might own those games to consider donating them to the Center. Alas we have not received any of those. From a search of ebay listings over the past several years we know that at least 50 psychology games have been marketed in the past century, and the actual number may be much higher than that. The oldest psychology game we have identified is a game that features palm reading that was released in 1919. We have this game in our collection (see photo). But this is the ONLY such game, thus it is a very small “collection” to say the least. Person-Alysis is a game from 1957 that uses inkblots similar to those in the Rorschach Test to reveal a person’s personality. There are perhaps a dozen games on the market that use inkblots in this way. So perhaps you are preparing to clean out your attic or just reduce some clutter. If your cleaning leads you to discover such games, we would welcome them as additions. Or, if you’re interested in making a charitable donation, some psychology games are available for purchase on ebay. You can have them sent directly to us at Cummings Center for the History of Psychology, The University of Akron, 73 S. College Street, Akron, Ohio, 44325-4302. You can contact us at ahap@uakron.edu. Here is a list of psychology games we have identified. *contributed by guest blogger Dr. Ludy T. Benjamin, Jr. The Cummings Center for the History of Psychology is located at The University of Akron in Akron, Ohio. There is a connection between Akron and Wilhelm Wundt’s most famous doctoral student. In case you don’t know, Wundt was the founder of the science of psychology, pursuing experimental research on the subject in his laboratory at the University of Leipzig in Germany in 1879. Wundt would supervise more that 180 doctoral dissertations in his long career at Leipzig but only one of those would grace the cover of Time Magazine. 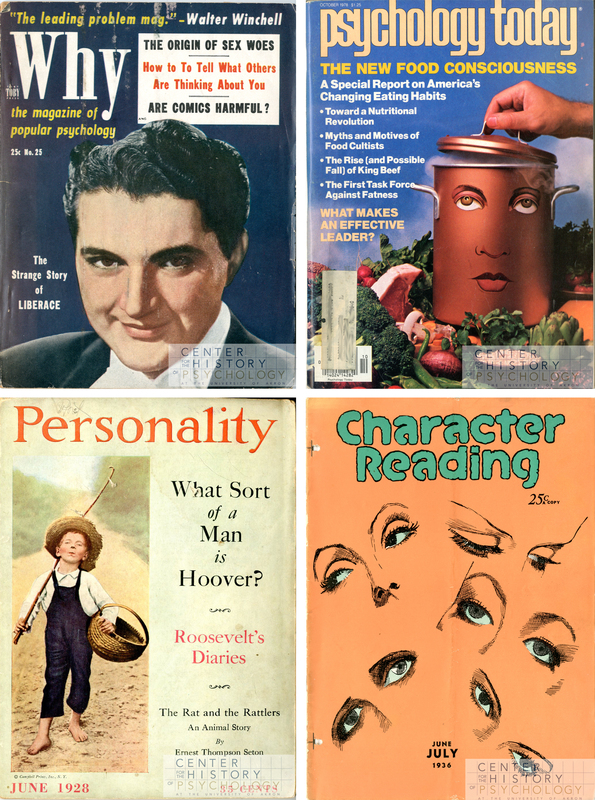 The Cummings Center has a collection of Time Magazines that featured a psychologist or psychoanalyst on the cover. Sigmund Freud appeared in 1924 and subsequently another four times. 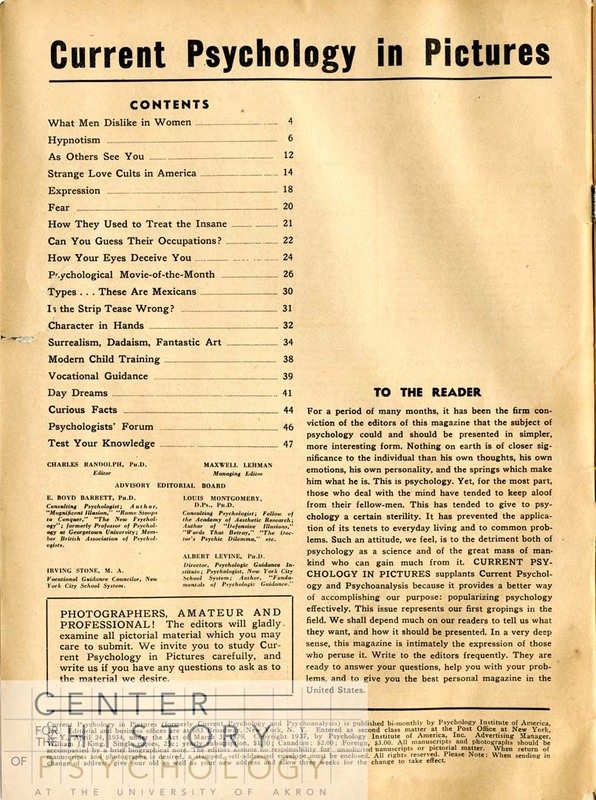 Psychologist and philosopher John Dewey was featured on a 1928 issue. Psychologist James Rowland Angell was on a 1936 cover when he was president of Yale University. Psychiatrist Carl Jung made the cover in 1955. John Gardner was featured in 1967 when he served President Lyndon Johnson as Secretary of Health, Education, and Welfare. And B. F. Skinner appeared on a 1971 issue. But none of these individuals was a student of Wundt. Wundt’s famous student, perhaps his best know student historically, earned his doctorate in 1892 in experimental psychology. His name was Hugo Eckener (1868-1954), and if you are saying to yourself, “I have never heard of this guy!”, then you are likely not alone. Eckener never pursued a career in psychology. After graduation he entered military service in Germany and when that obligation was completed he worked as a journalist. His journalistic work led him to an interest in Germany’s giant airships, the Zeppelins (named for Count Ferdinand von Zeppelin) and eventually to becoming an airship captain in 1911. Eckener’s career as a Zeppelin commander was filled with many accomplishments, but the reason for his appearance on the cover of Time Magazine in 1929 was the fact that as Commander of the Graf Zeppelin, he had circumnavigated the globe, the only time that feat was ever accomplished by an airship. And what was the connection between Eckener and Akron? Well in 1929, while Eckener was flying around the world in the Graf Zeppelin, the USS Akron, was being built in Akron, Ohio by the Goodyear-Zeppelin Corporation for the United States Navy. The helium-filled USS Akron, which was the world’s largest airship at the time — longer than two and a half football fields — made it first flight in 1931. The USS Akron didn’t enjoy a long life. It crashed less than two years after its maiden flight. The Graf Zeppelin fared better, flying from 1928 to 1937, and then it was scrapped for parts in 1940 for the German war machine. Eckener had publicly opposed Hitler and the Nazi Party. Likely only his reputation as a German national figure kept him from being killed or imprisoned when the Nazis came to power. He died in 1954 at the age of 86. 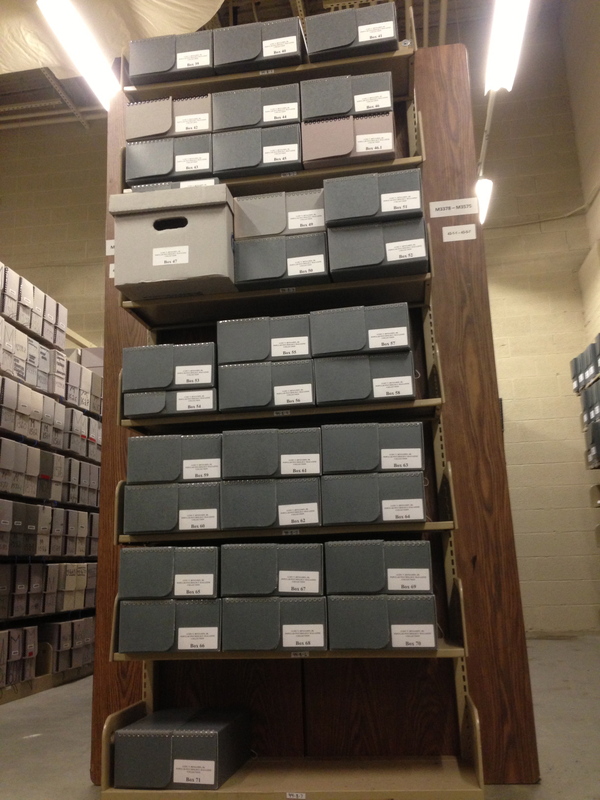 *Archivist note – The University of Akron Archival Services houses a collection of Goodyear Tire and Rubber records that include plenty of information on the USS Akron and other aviation materials. During Summer 2013, Leah worked at the CHP for her culminating experience to earn her MLIS from Kent State University School of Library and Information Science. She graduates in Fall 2013. I spent time with the Ludy T. Benjamin, Jr. Popular Psychology Magazine Collection, during the summer of 2013, as a Kent State MLIS student completing a Culminating Experience Project. Admittedly, the idea of unpacking, sorting, inventorying, indexing, and re-housing 1,367 magazines was initially a little intimidating. However, once I started to unpack and sort the psychology magazines, I began to really appreciate and enjoy the experience. 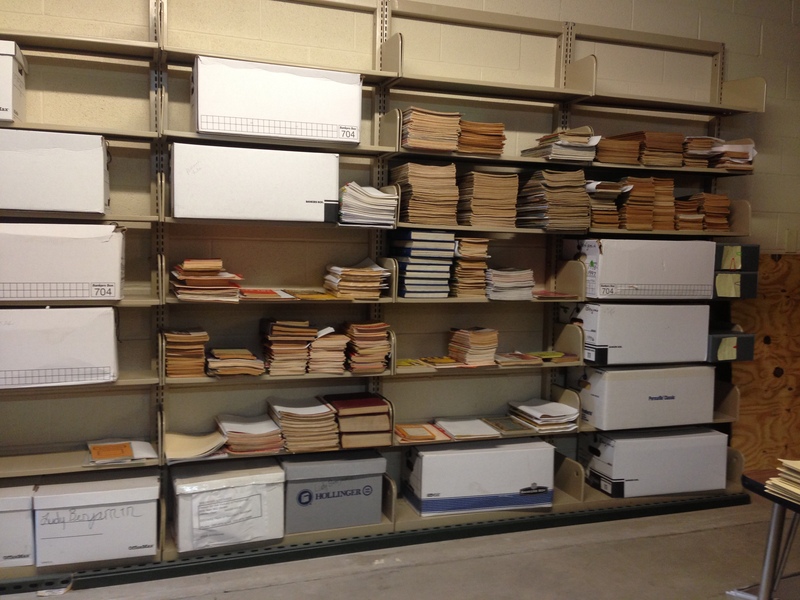 After about 100 hours, I finished rehousing the collection, according to archival standards, and the finding aid and collection are now available for use by patrons of the Center for the History of Psychology. I was and remain amazed at the extensiveness of Dr. Benjamin’s collection. The magazines date from the late nineteenth century through the twenty-first century, and the range of titles is astounding. I was also surprised at who I found among the contributing authors, such as Sherwood Anderson, James S. Coleman, and Jonathan Kozol. 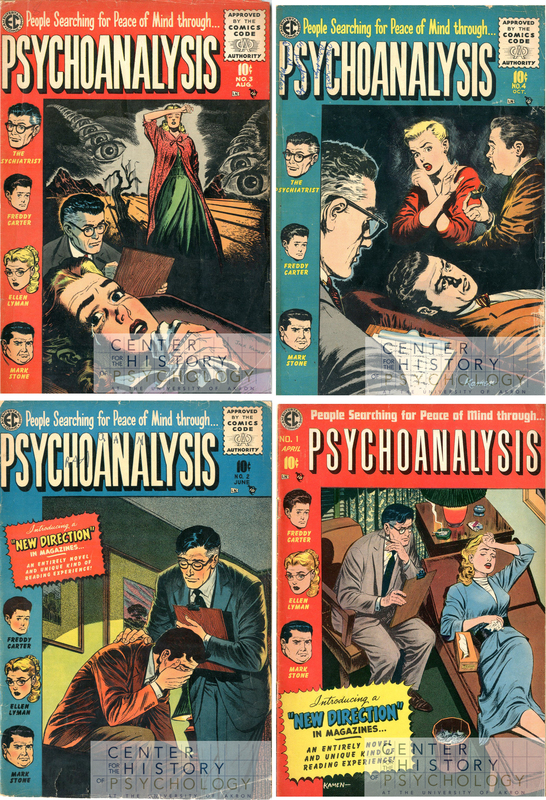 My favorite find, in the collection, is a series of four comic books from 1955, Psychoanalysis. The artwork on the covers of many of the magazines is fascinating. To me, the cover art is not only beautiful, but it is also a reflection of the social, cultural, and economic climate of the period. As I went through the magazines, I thought that a study of the collection’s cover art would make an outstanding research project. While working with the collection, I came up with an idea for an assignment for a course I teach for Kent State, Education in a Democratic Society. The complete assignment will be available as part of the online exhibit that I am developing for the Ludy T. Benjamin, Jr. Popular Psychology Magazine Collection. My students have already begun to work with articles they selected from a shortlist I provided from this collection, and the feedback has been positive. The CHP received a couple pretty great gems today from historian of psychology, Benjamin Harris. 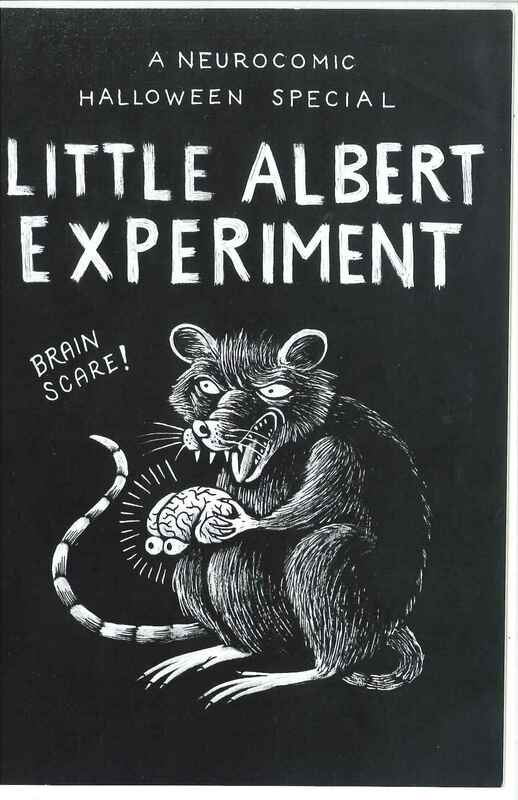 The first is a comic about John Watson’s Little Albert study. 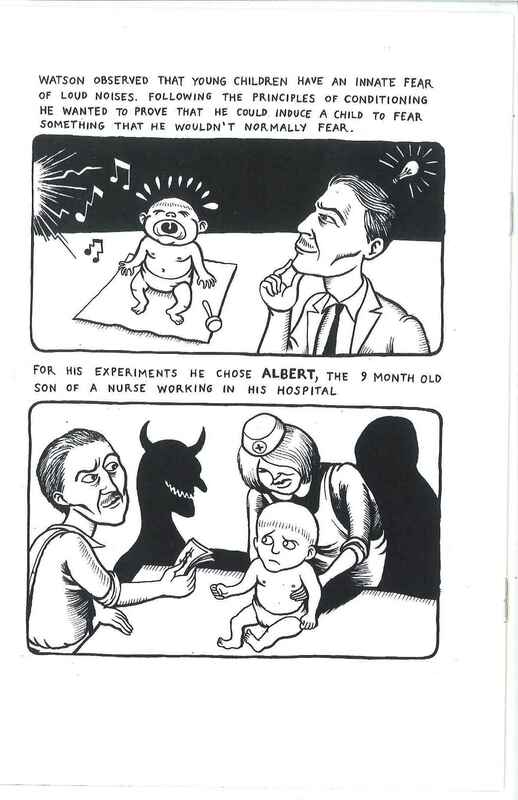 The author describes innate and learned fear responses and gives an illustrated interpretation of Watson’s study. 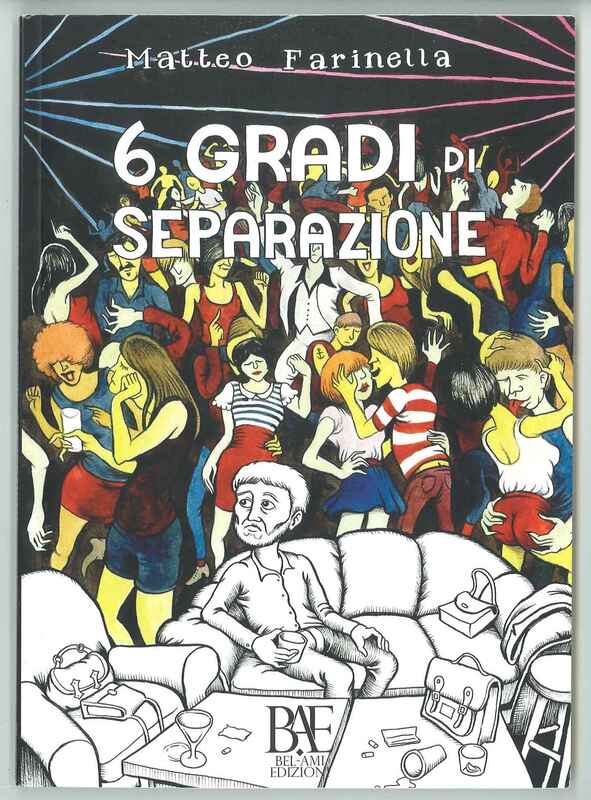 The second item is a graphic novella, written in Italian and titled Six Degrees of Separation. The novella opens with a description of Milgram’s small world studies. These two items will be added to the CHP Special Interest collection. You can view the Little Albert comic and the first four pages of the graphic novella (in English) online at Farinella’s blog.